Guess what? 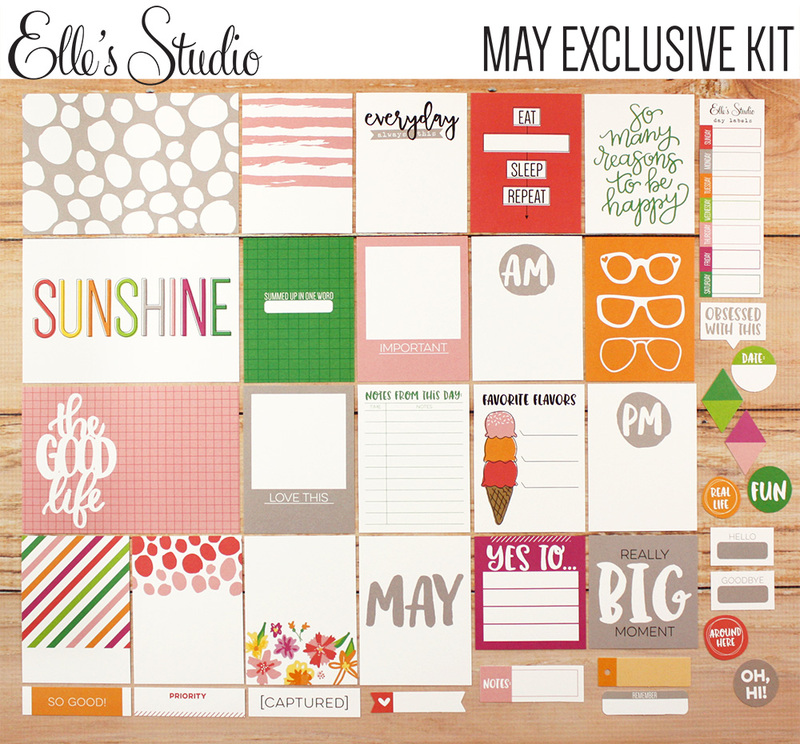 The Elle's Studio May Kit + exclusives are now live and that means that the design team gallery is live too, and there's some great inspiration there. 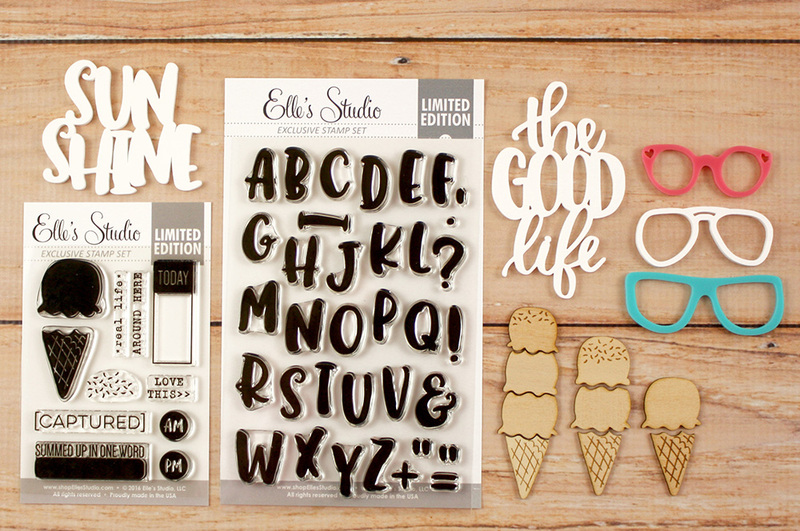 I actually helped to create a couple of the things in this kit and I'm excited to share that with you! See the card that says, "So many reasons to be happy"? That's my script! I also hand-lettered the words for "The Good Life" acrylic piece. Super fun. Weirdly, I didn't use any of the products that featured my script, but I will later in the month. :) Here are the layouts I created with the kit this time. On this first one, I had fun cutting up some of the cards to create my own embellishments and title. 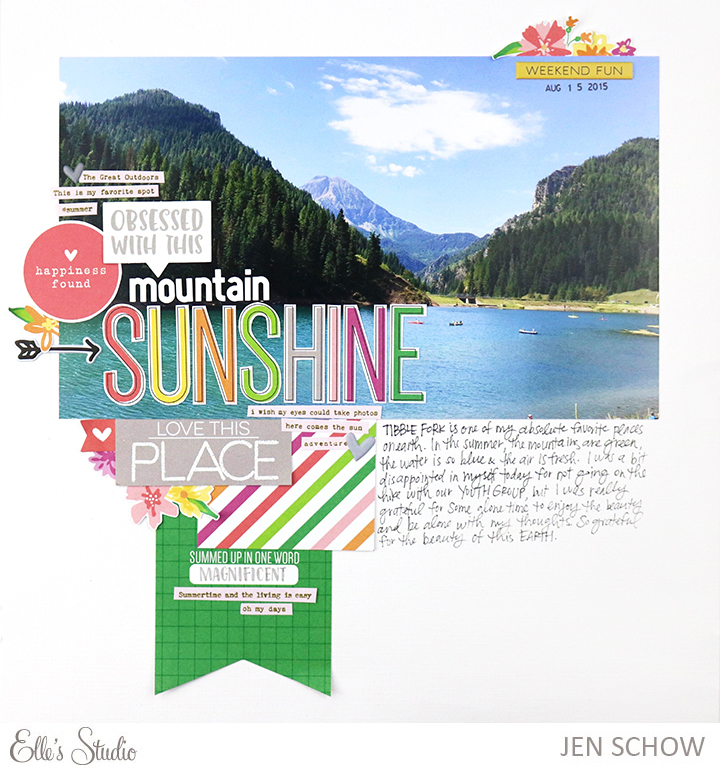 I am loving both of these pages Jen! Gorgeous work with the kit!